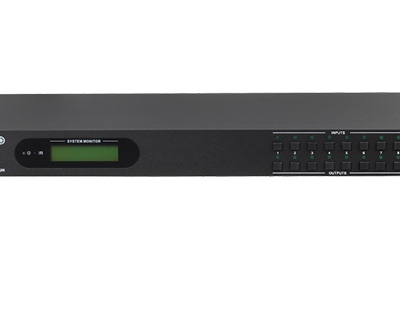 MX-HDMI-44-UH is a 4K HDR capable 4×4 HDMI Matrix Switcher that features 18Gbps bandwidth and HDCP2.2 on all inputs and outputs. It’s fully compliant with HDMI2.0 standard, and backward compatible with old HDMI1.4 sources and displays. 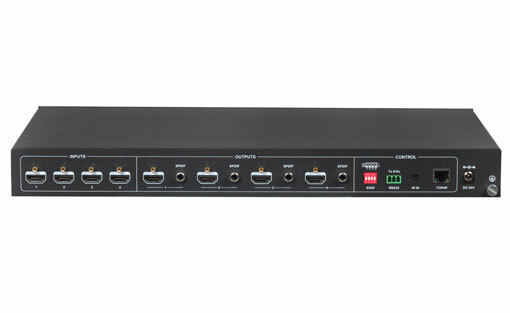 It provides 4 coaxial ports for breakout audio from corresponding HDMI outputs. Easy installation with rack-mounting design. Recommend using quality HDMI cables in order to attain preferred transmission distance and effects. 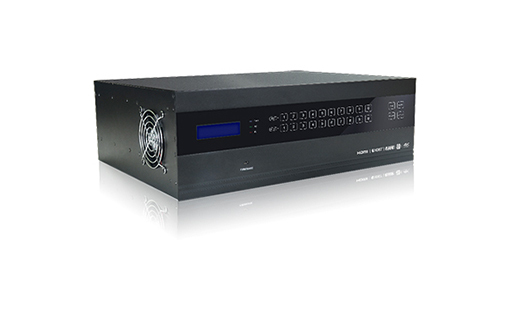 MXF-12 is a high-performance seamlessly AV modular matrix switcher providing 12 flexible PCIE slots for single VGA/ DVI/ HDBaseT input/ output cards. 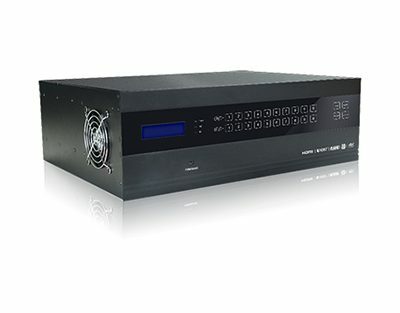 With its advanced modularization design, MXF-12 can make up a 11×1～1×11 matrix of HDMI, DVI, HDBaseT, VGA or their any combinations (count with one). All the cards support plug-and-play. 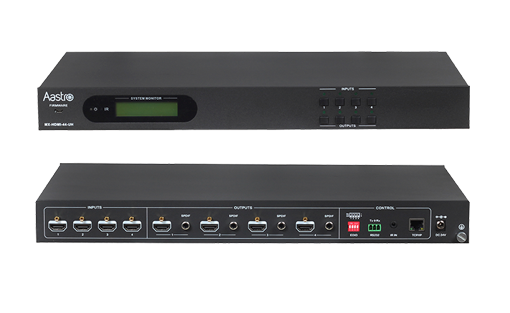 It supports different video signals with seamless cross switching. Every video or audio signal is transmitted and switched independently to decrease signal attenuation. The switcher can handle all the audio-visual management, including the switching, driving, scaling etc. MXF-16, this product is a high-performance seamlessly AV modular matrix switcher providing 12 flexible PCIE slots for single HDMI/HDBaseT/VGA input/ output cards and 4 fixed slots for output signal cards. 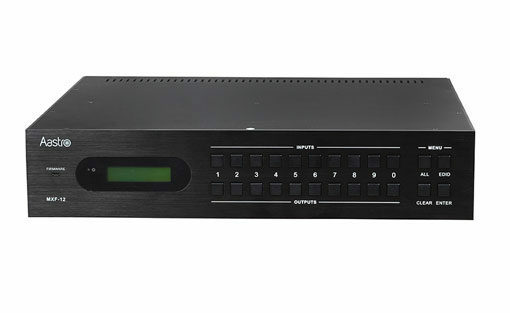 With its advanced modularization design, Freedom combination of single HDBaseT/HDMI/VGA input/output card can make up different kinds of matrix. All the cards support plug-and-play. 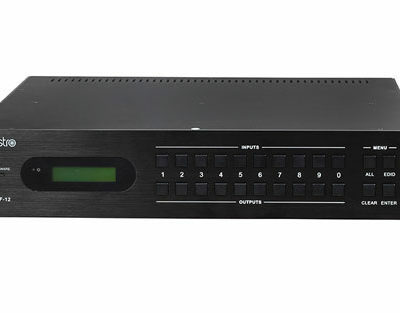 It supports different video signals with seamless cross switching. 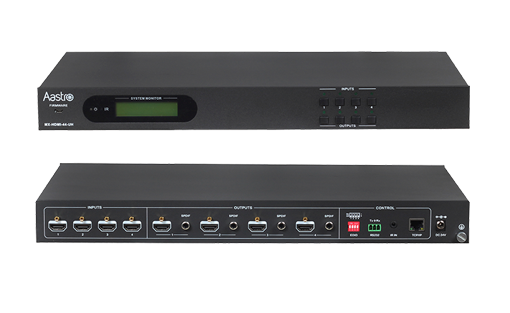 Every video or audio signal is transmitted and switched independently to decrease signal attenuation. The switcher can handle all the audio-visual management, including the switching, driving, scaling etc. 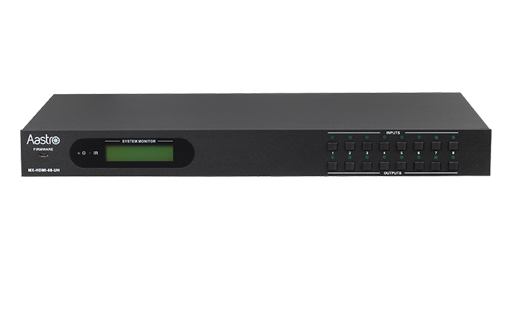 MX-HDMI-88-UH is a 4K HDR capable 8×8 HDMI Matrix Switcher that features 18Gbps bandwidth and HDCP2.2 on all inputs and outputs. It’s fully compliant with HDMI2.0 standard, and backward compatible with HDMI1.4 sources and displays. It provides 8 coaxial ports for breakout audio from corresponding HDMI output.